Centrally located in the United States, Ironclad Sports is uniquely positioned to provide quick and economical shipping anywhere in the country. GameChanger Basketball Goals! Here you will find the best performing, best value basketball goals for your driveway or backyard. Below you will find details on both GameChanger models. Triple Threat Basketball Goals! Here you will find the best performing, best value basketball goals for your driveway or backyard. Below you will find an overview of the four models we have to offer. Click on the photo of each model for more details. Ironclad Sports' FULLCOURT HOOPS! Ironclad has poured its extensive experience in the field of basketball goal design into these great basketball systems. 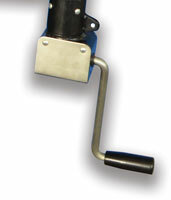 These units provide excellent stability and rigidity and the most adjustment range available! 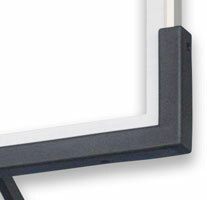 The backboards are equipped with our ClearView backboard design for the cleanest look. These units are engineered for extreme performance and durability. Ironclad Sports' Highlight Hoops! These units provide excellent stability and rigidity when adjustable height goals are not required. 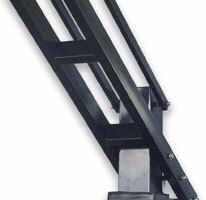 Massive extension arm is clamped to vertical post using six high tensile strength bolts. These units are designed for extreme performance and durability. I have a wall behind where I want to put the basketball goal, how much space should I allow behind the unit? For ease of cranking and to avoid scraping knuckles, we recommend allowing 18" of distance from the back side of the post to any wall or obstruction behind the goal. Can I relocate the unit if I move from my home? 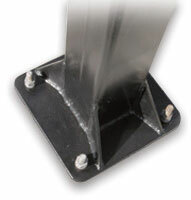 Yes, each unit is equipped with a bolt-down anchor base, which allows the unit to be disconnected from the concrete footing and moved to a new location. A new set of anchor bolts may be purchased to re-install the unit. How large of an area do I need for my basketball goal? This largely depends on the size of the backboard you choose. A two car driveway is best suited for a 54" or 60" backboard. Three car driveways and dedicated backyard courts work best with either 60" or 72" wide backboards. How big is a regulation sized backboard? 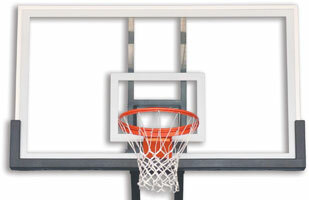 All competition games including high school, college, university and professional basketball are played on the same sized backboard, 42" tall x 72" wide. Does the unit include a breakaway rim? Yes, each unit includes a breakaway rim and net. The rim will flex down when a player hangs on it and snap back to its original position when the player lets go. Yes, post padding and backboard padding are included in the price of the goal. Tempered glass is what all competition basketball backboards are made of. It is the same material your car windshield is made of. Tempered glass possess very lively ball bounce characteristics. What is Weather Shield undercoating? Each FullCourt unit is first dipped in a bath of molten zinc that impregnates the steel giving it a silver color and makes is virtually rust proof. 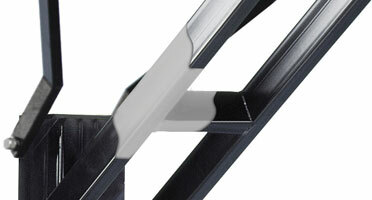 Then, the units are coated with black powder coat for aesthetic appeal. Do I need to be present when my goal is delivered? Yes. The freight company that delivers your order will require a signature at delivery. Your signature indicates that you received all packages in good condition. Please check each package thoroughly before signing for the shipment. We suggest that you open the backboard box to make sure the backboard has not been broken in shipping. If any parts are damaged, refuse only the damaged parts and notate the damage on the delivery receipt before signing. No. 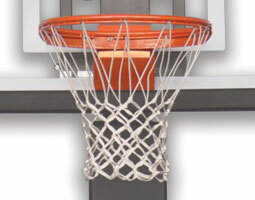 Ironclad basketball goals are distributed and sold strictly through authorized Ironclad Sports dealers. Please refer to the Dealer Locator on this website for a list of authorized retailers.